How do you solve a problem like Alma? You can’t. About all that we can agree on is that she was a beauty of fierce intelligence and with the charisma that invited adoration; “How beautiful she was, and how seductive she looked”. Apart from that, pretty much everything else that we think we know is tainted and it would take a better person than I to find the truth of it. "It is now plain that Alma did not just make chance mistakes and 'see things through her own eyes'. She also doctored the record". Everything was harnessed to her own self-esteem. On Wednesday November 14 at Hinde Street Methodist Church, as part of the London Song Festival, her compelling story was told in a dramatized song recital, a combination of music, drama and artwork, that placed Alma and her conflicted relationship with Gustav Mahler in its musical and cultural context, performed by soprano Lorena Paz Nieto, baritone Jon Stainsby, pianist Elizabeth Mucha and actor Sandy Walsh. 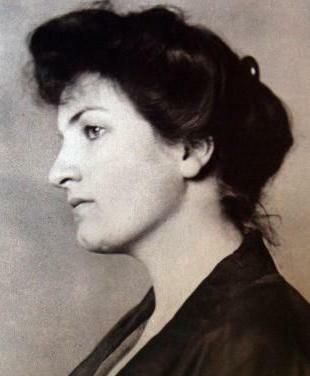 Art Sung – Alma Mahler was an atmospheric and intriguing journey into the life of Alma Schindler devised by Elizabeth Mucha. The diaries and letters, sympathetically read by the actress Sandy Walsh, were fascinating. At the heart of the concert were Alma’s songs, sung with style and sensitivity by Lorena Paz Nieto and Jon Stainsby, which were juxtaposed with other repertoire by Mahler, Schumann and Beethoven amongst others. If it’s only through Alma’s songs that we can see the truth of her I certainly didn’t get an overbearing sense of the morbid in her music. “Never have I written a cheerful song” she proclaimed and yet the portrait that emerged was of a tempestuous nature verging on the histrionic. There was an eroticism and flirtatiousness too, at times a charming sweetness, and even something genuinely haunting in “Ich wandle unter blumen”. Did we hear the real Alma? A glimpse maybe. “Nobody shall ever win me” she claimed, and it showed. So, what of the rest of her output? Of the 100 songs she claimed to have written, only 14 of the 17 extant, those edited by Mahler, were published. For fifty or more years she was almost the sole source of material not only about herself but of her husband and whilst tempting as it is to give into the idea of the femme fatale, the truth is, I fear, something nearer to Siegfried Lipiner’s view of her as “devoid of…sincerity…”.